On Monday, I was driving home from work for a long break when I began thinking seriously about it: The sun was shining and it would be a great afternoon to run. Why not? 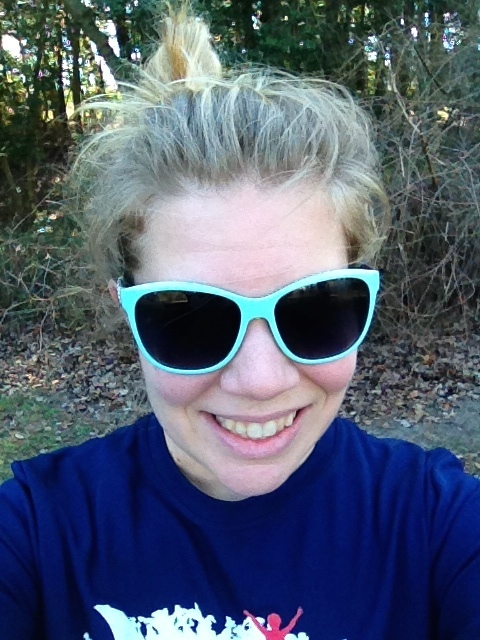 So, once I got home, I changed into my running clothes and headed out for a three-miler. It was the first time I can recall that I’ve ever run on a break from work, at least a break that wasn’t a split shift. And it was great. 1. The sun. During the winter, it’s dark in the morning and dark at night. It was pretty amazing to be able to get a run in during the middle of the day, when the sun was shining brightly and making it feel warmer. 2. It’s something different. As I mentioned, I rarely run in the middle of the day on a weekday. I normally run after work, and if I can get up early enough, sometimes I run before work. It was something different to do, and since I had a long enough break to make it happen — with the drive home, the run, a shower, eating lunch and driving back, it was about two hours — it felt fun to be able to switch it up. 3. It’s a nice chance to decompress. A break should be relaxing, but it can be stressful — trying to fit in errands or feeling pressed for time after trying to make lunch. This long break with the run gave me a chance to enjoy the warmer-feeling weather and sun. 4. Less traffic. I was running on rural roads, but I do think there were less cars on the road than during the morning commute to work or evening commute home. 5. A second chance at getting ready. I woke up pretty late on Monday for my early-morning shift at work, and I got ready much faster than I would have liked to when I started the day. Going for a midday run allows you the chance to get ready all over again. So, have I convinced you to try the midday run yet?